All Randakk’s Master Carb Overhaul Kits® contain Viton® orings exclusively. I have an 81 gl1100 I am doing a rebuild of the bike which was my dad’s. He has passed and was cremated. Once I get the bike completed I will take him for his final ride before we spread his ashes. I am having problems with air coming back into the gas tank in large burps. I have completely rebuilt the carbs with your kit. Installed your premium gas filter. Rebuilt the gas shut off valve, new fuel lines and replaced the fuel pump with a new Honda fuel pump. I have taken apart the gas cap and cleaned but at this point while synchronizing I have the cap off with a towel over the gas tank. I have been fighting the idle on the carbs for weeks before discovering the burping of air into the gas tank. I finally was able to synchronize the carbs and adjust the idle screws to get good vacuum readings on all 4 carbs with the gas cap off. I have no gas leaks with the bike running or off. The bike has always been garaged, very well maintained since new and only has 59k for miles. 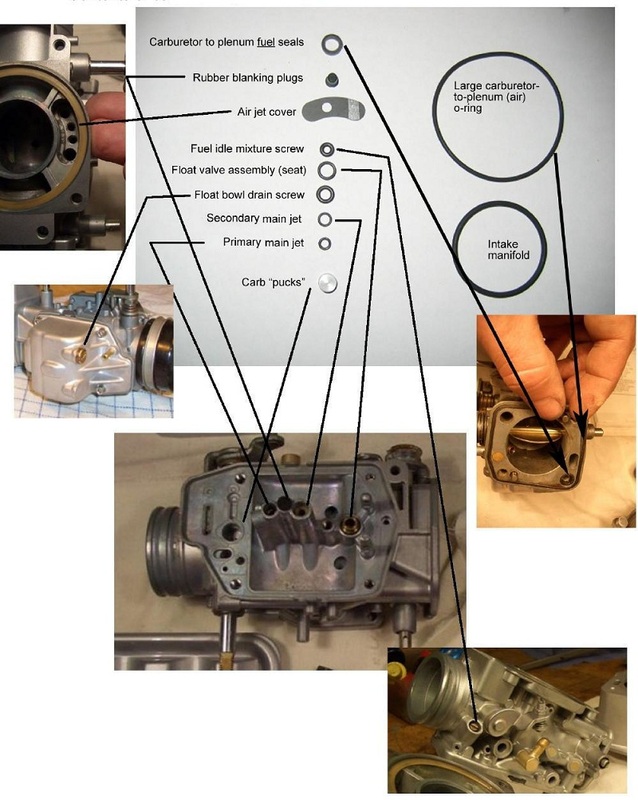 I am having a hard time visualizing how I can be getting air back through the fuel lines since the carbs would be under a vacuum at the point where the fuel atomizes and I have good vacuum readings at all 4 carbs. Very helpful graphic. I did have to learn the hard way that you don’t want to roll the fuel idle mixture screw O ring into place. I broke two before I figured out that was the wrong way to do it. As it was quite cold in my shop when I did the carbs I did find it helped to soak the idle screw O rings in hot water – it seemed to give them a little more stretch allowing me to ease them into their groove. Thanks again for your kindness in supplying replacement O rings, especially as the breakage came out of my bad technique, not the quality of materials supplied in your Master Carb Overhaul Kit.